What does it take to implement Business Process Excellence, Continuous Improvement, or Process Improvement in your business? There is undoubtedly a clear connection between Operational Excellence and Continuous Improvement - however, Operational Excellence is arguably a far more specific and definable term. 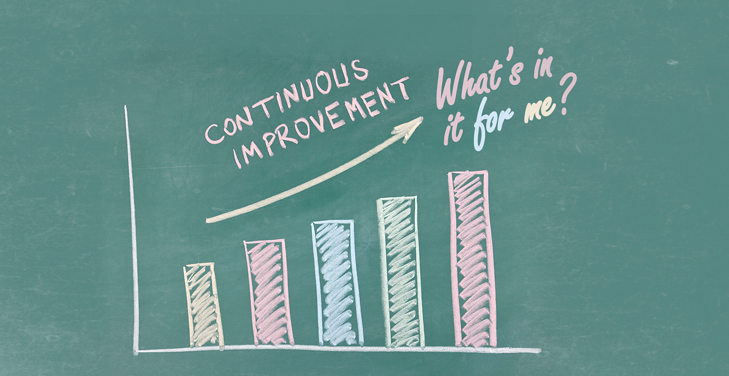 Continuous Improvement more widely marks the process of persistently seeking to improve business process, products and services. Where 'Operational Excellence' is a target state to attain through various practises, Continuous Improvement refers more to the ongoing journey of improvement. Read more: Continuous Improvement - High-Tech or High-Touch? Kaizen is Japanese and stands for "Continuous Improvement". It refers to activities aiming for the implementation of positive, ongoing changes at the work station. In other words, it is a strategy that involves all employees from every company level to work together and proactively with the goal of achieving regular, incremental improvements to the manufacturing process. - Define: define the problem in order to solve it. - Measure: measure all of your available data as well as take a more detailed look into your processes. - Analysis: perform analysis of your findings and figure out the problem's root. - Improvement: once you analyzed your data, find possible solutions and implement them. - and Control: ensure to maintain your new implemented process. Read more: Six Sigma's Biggest Secret: Why No One Has Ever Matched Motorola's Results.. Lean is focused on eliminating waste from the process without negatively impacting productivity. In other words, it aims to implement business processes that achieve high quality, safety and worker morale and reducing cost as well as shortening lead times at the same time. Kaizen aims the improvement of the business as a whole. The goal is to increase efficiency and eliminate business waste by creating and implementing standard work. On the other hand, the concept of Six Sigma puts emphasis on the quality output, the final product. This strategy involves finding and eliminating the roots and causes of defects. Lean approaches are generally about the elimination of waste in order to increase the speed of processes. Quality improvement can be achieved by reducing waste in processes. One thing all three concepts have in common is that all of them lead to the development of an effective continuous improvement model. However, as the definitions mentioned above, the approaches are distinct and have to applied differently, depending on the problem that needs to be resolved. Read more: What is the Best Way to Begin a Lean or Continuous Improvement Journey? 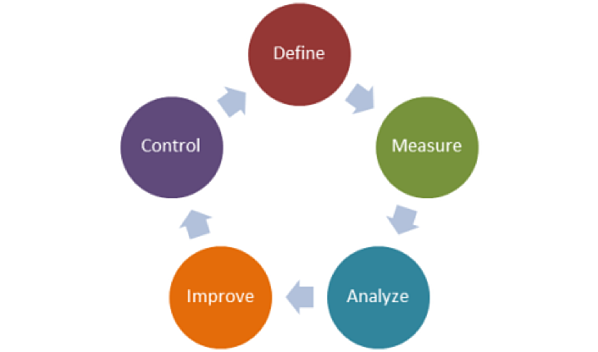 The most common Continuous Improvement Model is presented as a cycle or a wheel, the so-called Continuous Improvement Cycle. The reason for this is its ongoing movement and nature of change. Once you completed the last stage of "Act", the circle starts at "Plan" again, so it is a never-ending routine. Plan: In order to set up a plan, key business processes have to be identified. Understanding these key processes sets the foundation for process improvement, which then enables you to identify problems within the process as well as drawing up a plan for solving these problems. Do: Once you identified the problem and its cause, you were able to set up a plan dealing with it. However plans do not ensure the resolution. They can fail. This is the reason why you should test them in order to find effective solutions. Check: It is highly important to keep checking on the effectiveness of changes and processes for possible corrective actions and results. Improvement involves measuring, monitoring and evaluating the process results. Act: Take corrective actions if necessary and learn from them. This step also allows you to gain a better understanding as well as knowledge about your business processes. Moreover, share your lessons learned with the workforce. Derived from that it can be said that continuous and process improvement is a commitment. 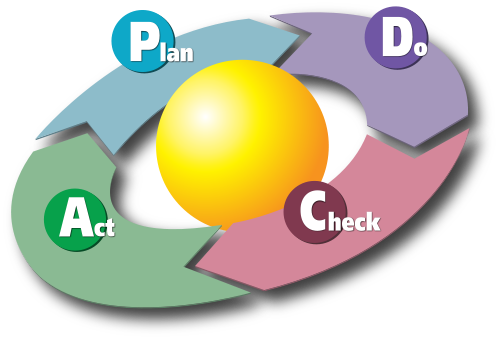 Applying the Plan-Do-Check-Act model will support your organization in terms of continuous learning and performance excellence. The path to performance improvement and business efficiency improvement is to truly understand your surroundings, your current way of working, your business processes and where exactly changes and improvements have to be taken place. Capture: The first step is to capture your current situation and processes. This can be accomplished by using process mapping. Try to find the broken or wasteful processes and work backwards from there. Share: It is important to ensure that the methodology and tools being used are user friendly, since you have to share it with anyone involved carrying out these processes. Use: Once everything is set up, it is time to take the actions and use what you have been given. Make sure every relevant tool and system is accessible to all the others involved as well clear and easy for them to follow. It is recommended to hold follow up events every 6 months in order to ensure effective continuous improvement. Improve: It is essential to understand and capture your current processes, since it is the foundation for process optimization. Improvement starts after performing analyses, finding process disruptions and modelling potential solutions. Continuous Improvement is a technique of Lean improvement that supports the optimization of workflows. Efficient workflows do not only save time and money, but also enables reducing wasted time and effort. Moreover, by using Forecasting Software, project management offices can cut costs and prevent surpluses, which also increases their overall effectiveness for the company. What is more, documenting your processes will create a specific consistency, which makes it easier for predictions, monitoring and, most of all, assurance of a certain level of success. 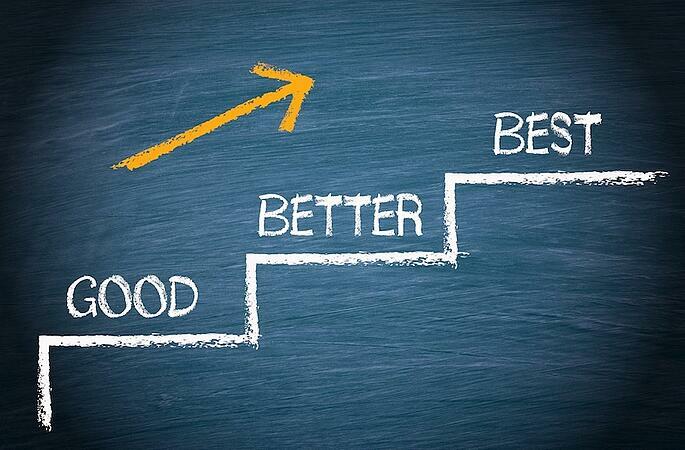 To be more precise, continuous improvement advantages are relatively simple. You constantly better your practises to make your team and business more efficient, accurate, and effective. However, there is one thing to remember: Improvement is not a one-time event. There will always be room and capabilities to implement changes to your business processes and methods. How Can Healthcare Create High Reliability Organizations Using Continuous Improvement Methodologies? What are the Key Challenges to Embedding Continuous Improvement? For large, complex and remotely operated healthcare organisations in particular, this can be a real challenge. Galvanising staff to implement new processes especially if they are remotely located can be difficult as ‘out of sight, means out of mind’. Finding ways to rapidly, efficiently and effectively roll out the methodology across the organization is one of the OpEx professional’s biggest headaches.